I recently just booked a vacation to Destin, Florida coming up in a few weeks and to say that I'm excited is an understatement! It's been a while since I've dipped my toes into the ocean and the stress of this past semester has got me craving some beach therapy. 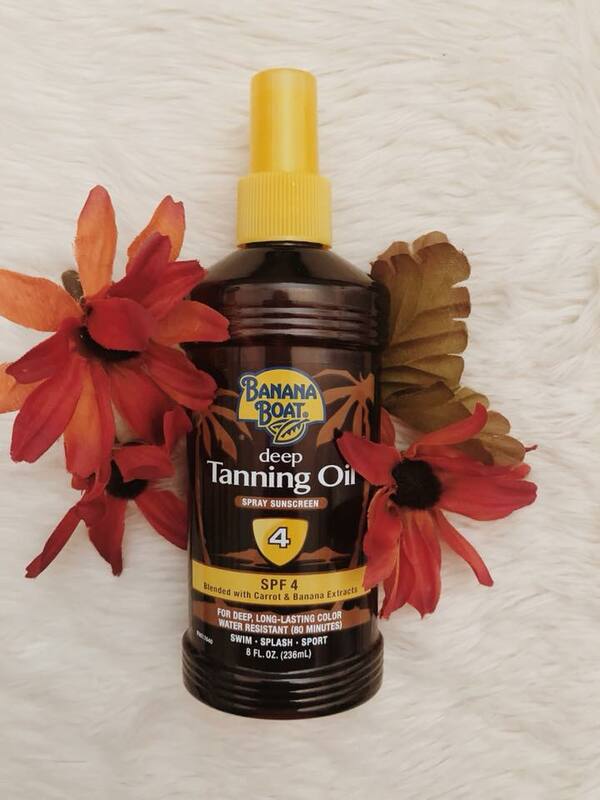 Today I wanted to share with you ladies my top 7 essentials to pack for a trip to the beach! 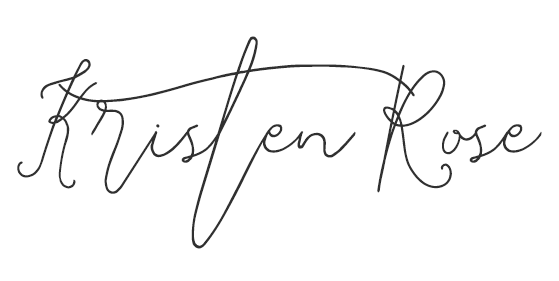 These are personal must- haves for me and I hope this will be helpful for you! This one is a no-brainer! Buying a new swimsuit is one of my favorite things to shop for before going on vacation. I have been LOVING the one piece trend and I found this super cute one at Target under $50.00. Target has so man cute options and I highly recommend taking a look there before spending big bucks somewhere else! 2. Sunscreen, Sunscreen & More Sunscreen! You will go through more sunscreen on a week long beach vacation than you think! And if you're anything like me, you will burn super easily and spend the rest of the week red nosed if you're not careful. I like to start out with a SPF 30 and work my way down as the week goes on. 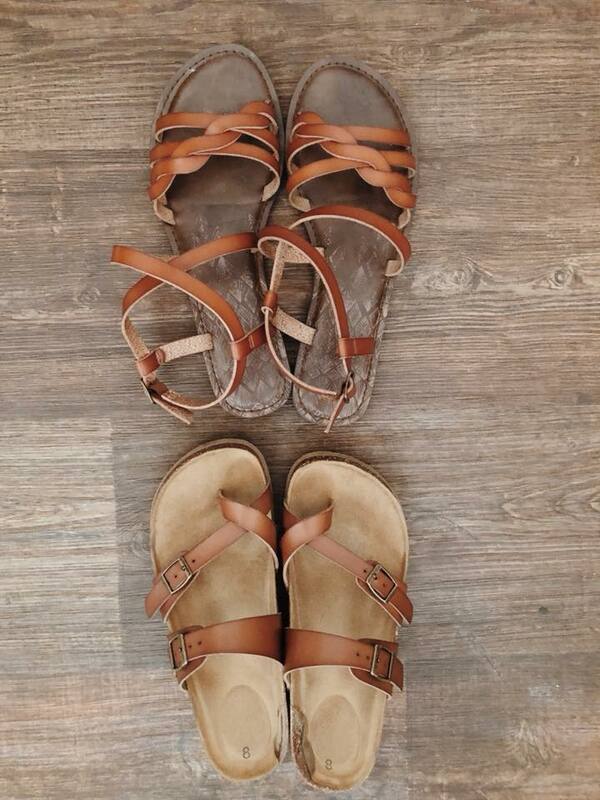 Affordable sandals that you don't mind taking to the beach? Check, check, check. I think my favorite thing about the beach is getting my nose into a good book. There's just something about being surrounded by the ocean as you read that leaves a feeling like no other! 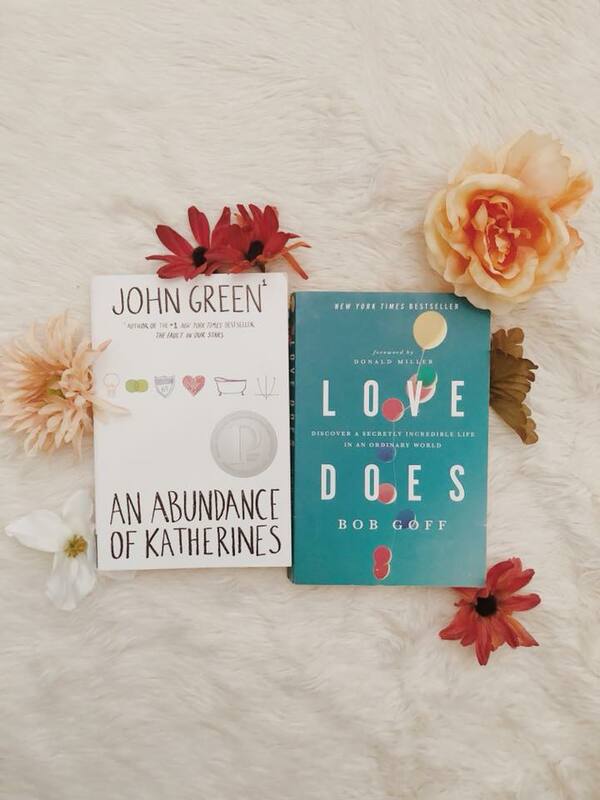 Here's a few of my summer reading picks. 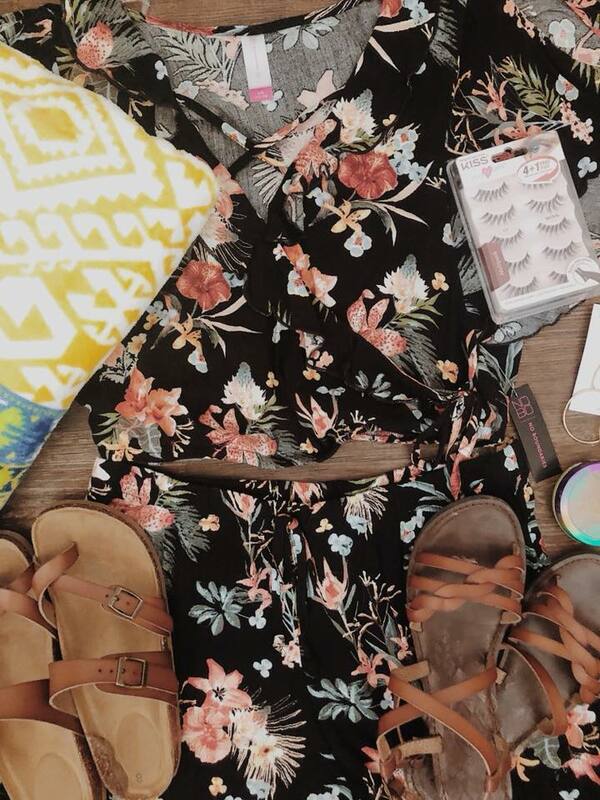 To be able to carry all these beach essentials with you, you will need something to put them in! There are so many cute and affordable beach bag options out there. I recently seen some super adorable ones at walmart under $20.00! This one I am using this year is a monogrammed bag my Aunt bought for me last year. 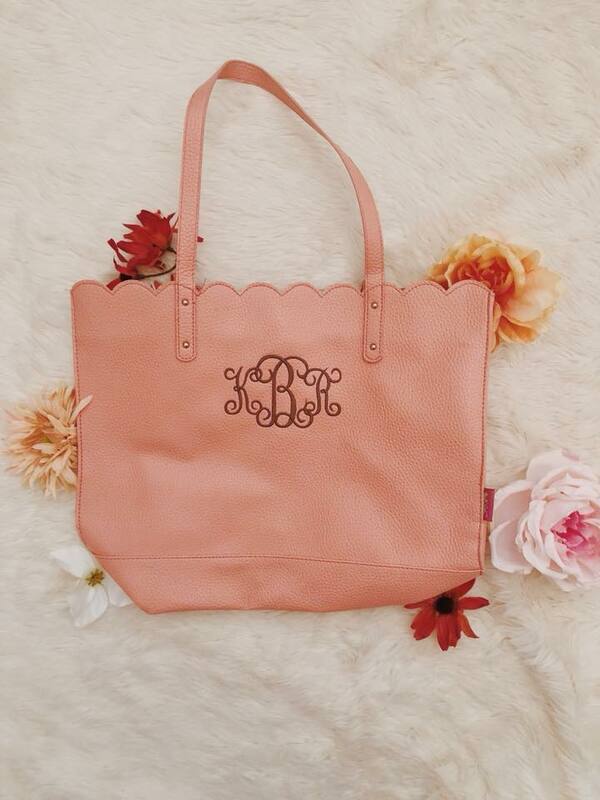 It has plenty of room and I am obsessed with the color and scalloped detail! Here's a link to the Walmart bag! I hope these essentials were helpful to ya'll! Be on the lookout for upcoming posts and videos of my trip coming up soon! Are you going on a beach vacation this year? If so, what are your go-to essentials? Hey ya'll! I haven't been very active on my blog and Instagram lately because life has been crazy hectic! I'm finishing up my final weeks of school before Summer and I can honestly say I will be happy when I'm finished. I enjoy school but there are times when it can be draining - I'm sure my fellow 20 somethings can relate! I will be headed down South to Florida in two weeks for a vacation with my boyfriend and my family. I decided to check out Walmart to see what I could find for my trip and I was shocked! They have totally "upped their game" and I'm not mad about it. 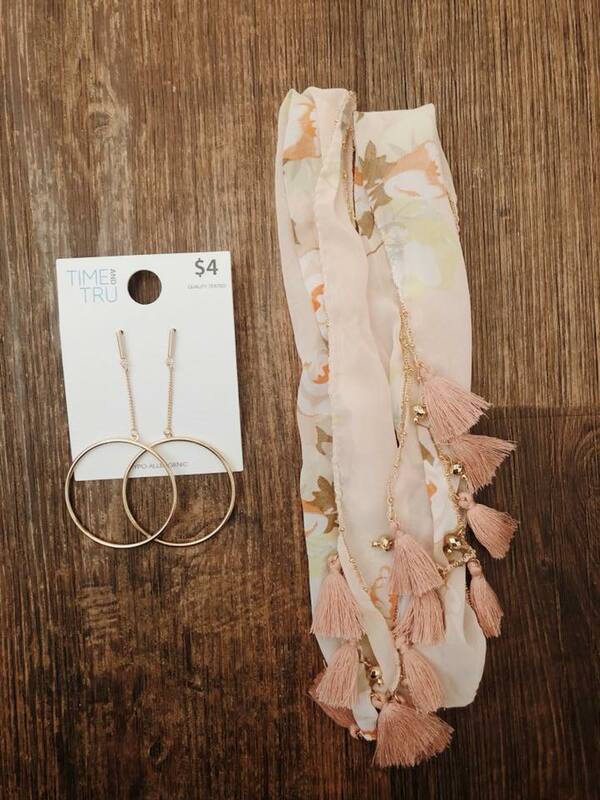 They started carrying a new brand called "Time and Tru" and the styles are to die for (and insanely cheap). Here are a few of my finds! 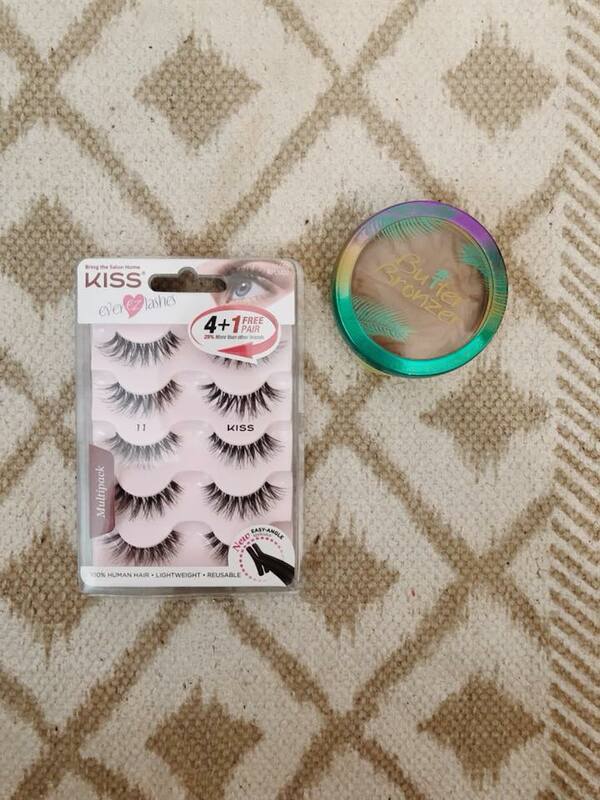 The BEST lashes and bronzer! 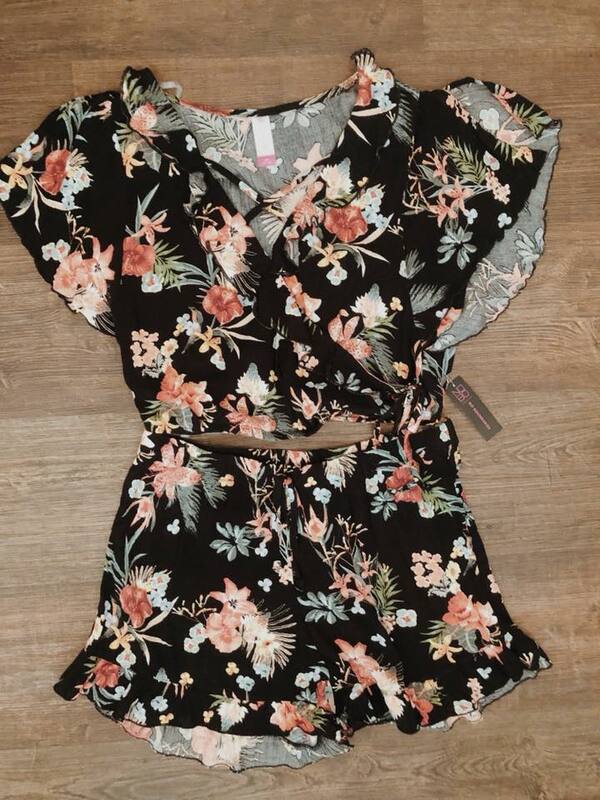 The most adorable two piece set! 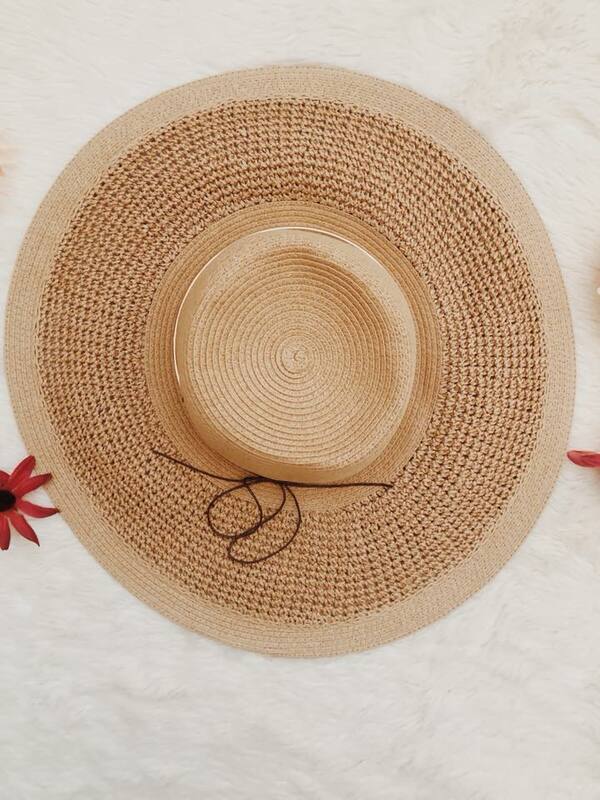 It is so flattering on and only $16.92! 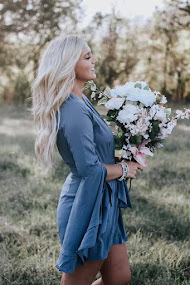 These earrings and this hair tie are so trendy right now and I can't wait to style them at the beach! I couldn't find the link but you should be able to find them in the accessories section at your local Walmart. 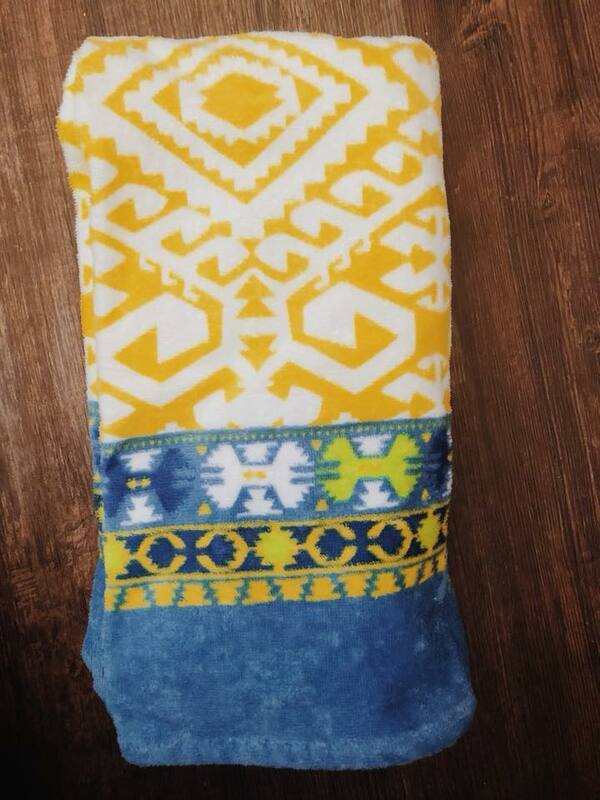 How cute is this beach towel? They have so many to choose from! 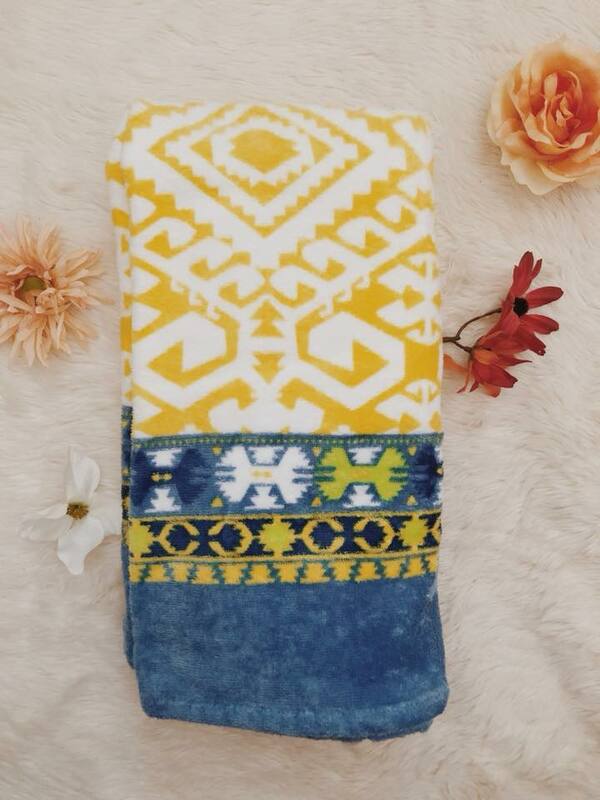 I have been obsessed with yellow lately. I have worn these multiple times and I am starting to see a little bit of wear and tear already but that was to be expected. 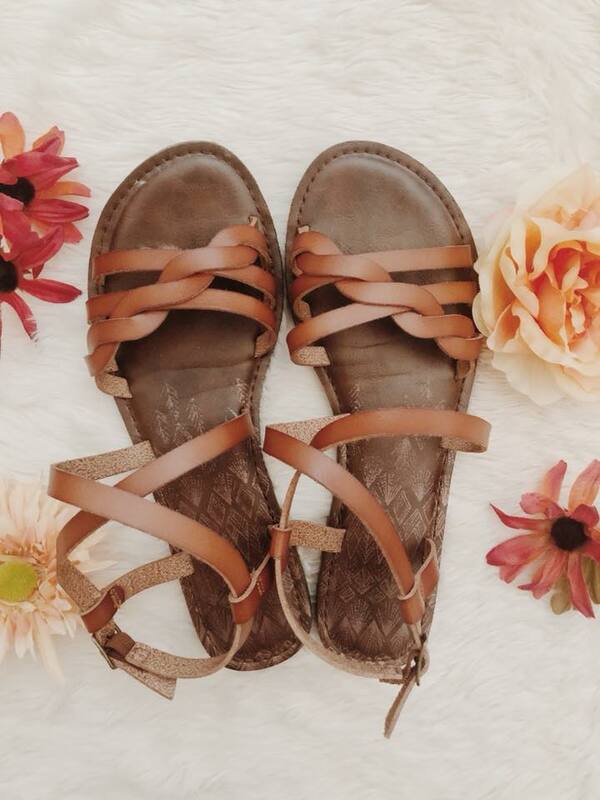 My new favorite sandals for sure! I actually couldn't find the link to them so check your local Walmart and I will link a similar pair below! I hope you found this helpful! Has anyone else noticed Walmart's newest cute additions?